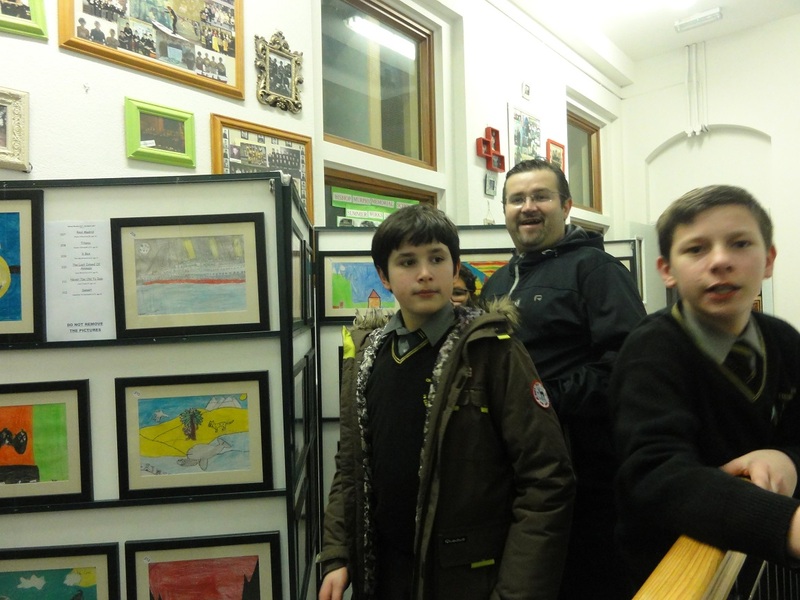 Visitors from far and wide visited Bishop Murphy Memorial School Fermoy, to enjoy our fantastic art exhibition which coincided with our school’s open night. 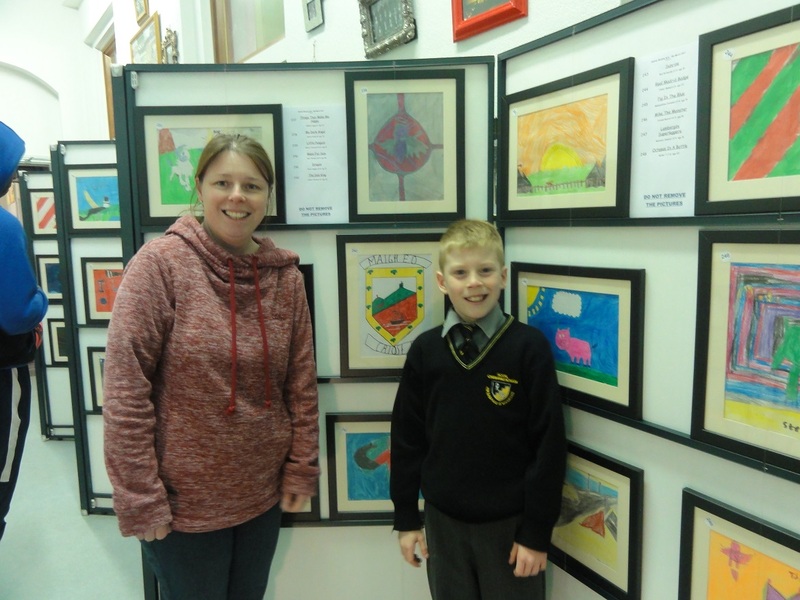 All children love doing art at school and the exhibition was a great opportunity for our students to show off their talent to parents, teachers and friends. 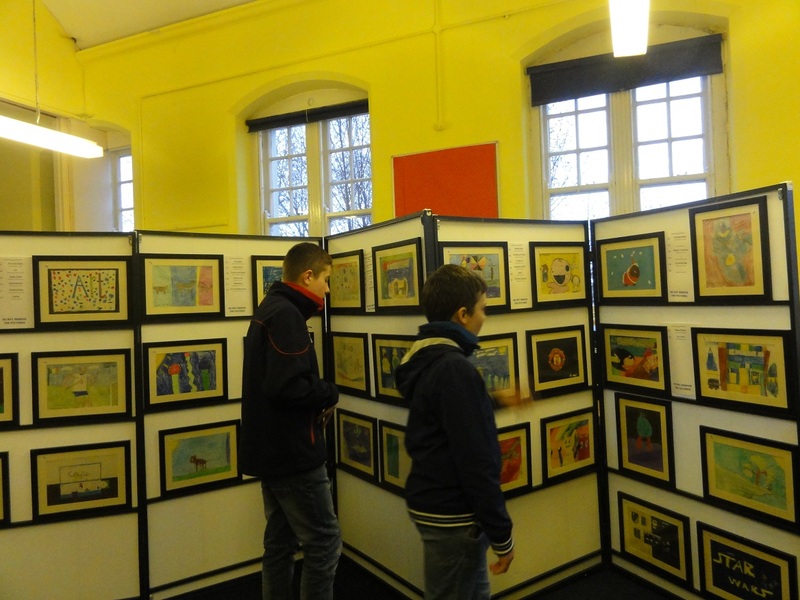 On Thursday night, 9th March, at our school, enthralled visitors flocked to see all our students’ work come to life, displayed on stands in beautiful wooden frames. 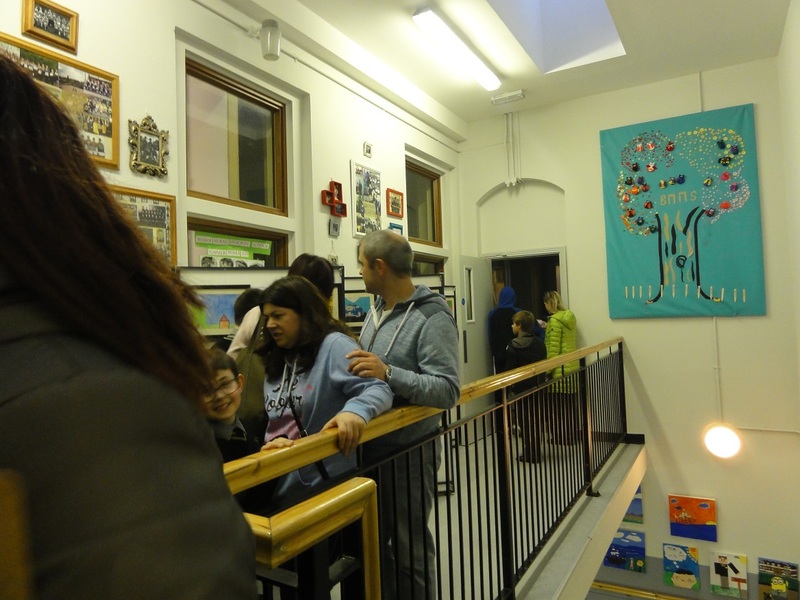 The purpose of the night was to celebrate the work of the children and to bring the whole school community together. There was a display in each classroom. 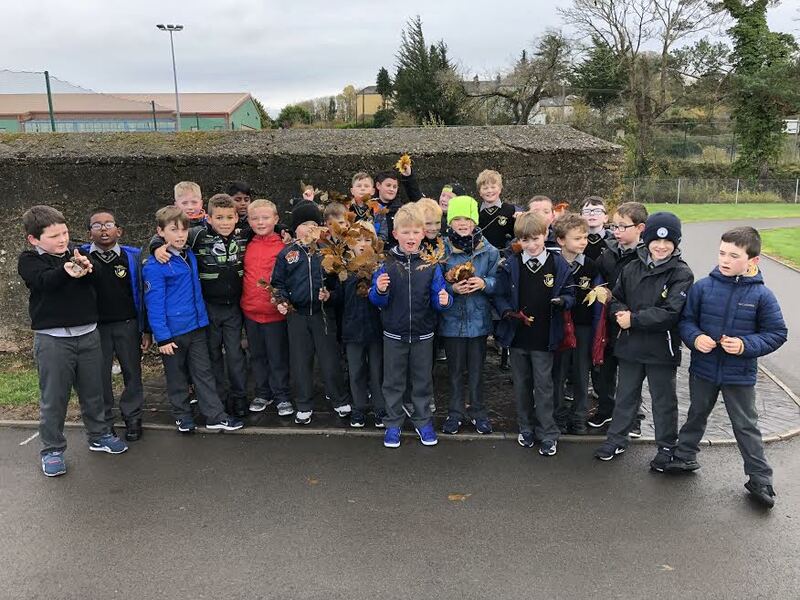 Our ‘new’ second class arrived from Presentation School on the night also to see their new school for the first time, ahead of their September start. 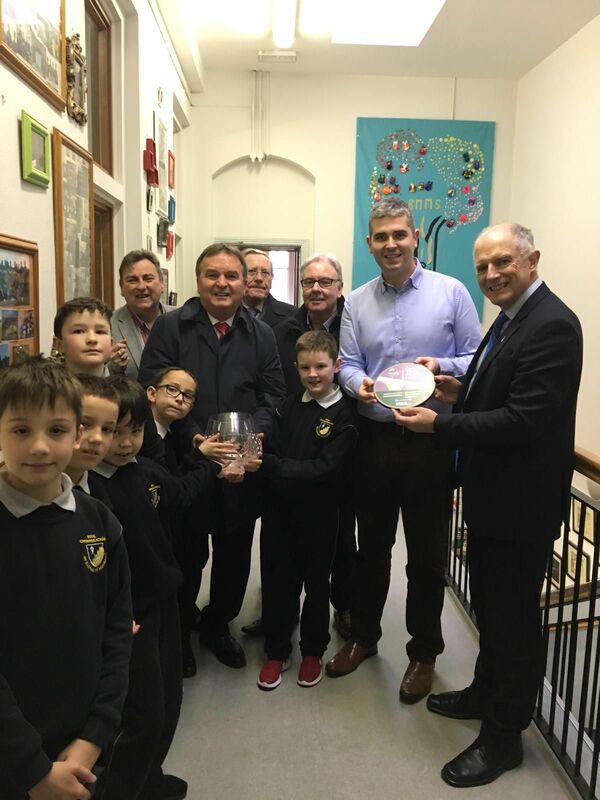 Mr O’Donoghue delivered his address on the night explaining what the school is all about. He explained about the collaborative teaching methodologies being used in each class. 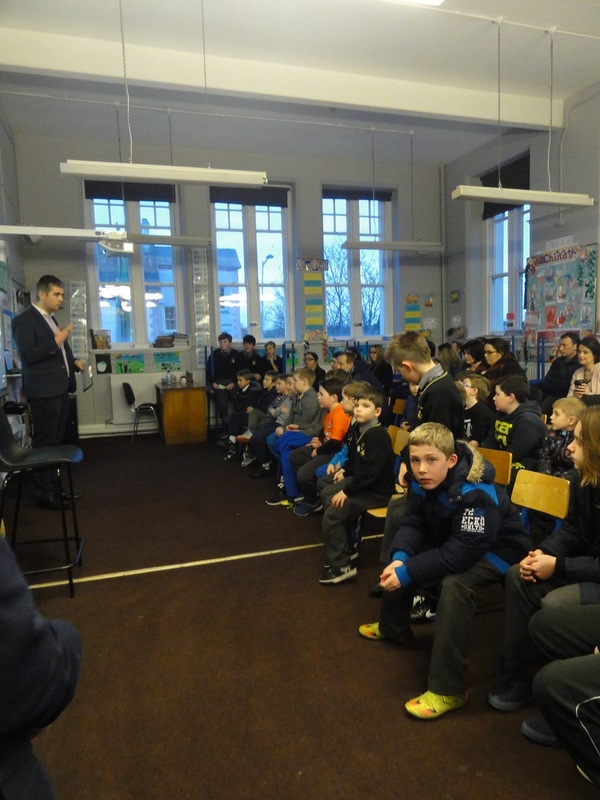 He spoke at length about teaching and learning and the importance of good communication links between school and home. He highlighted our facilities, including our approach to learning via our ipads. 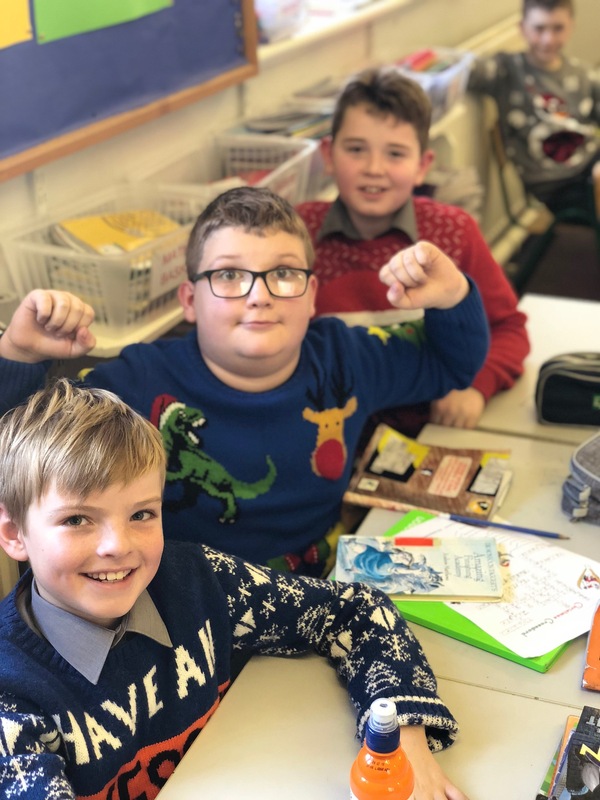 Three students from 6th class, Ronan, Emmett and Bartosz punctuated his speech to discuss their own impressions and memories of the school with the congregation. 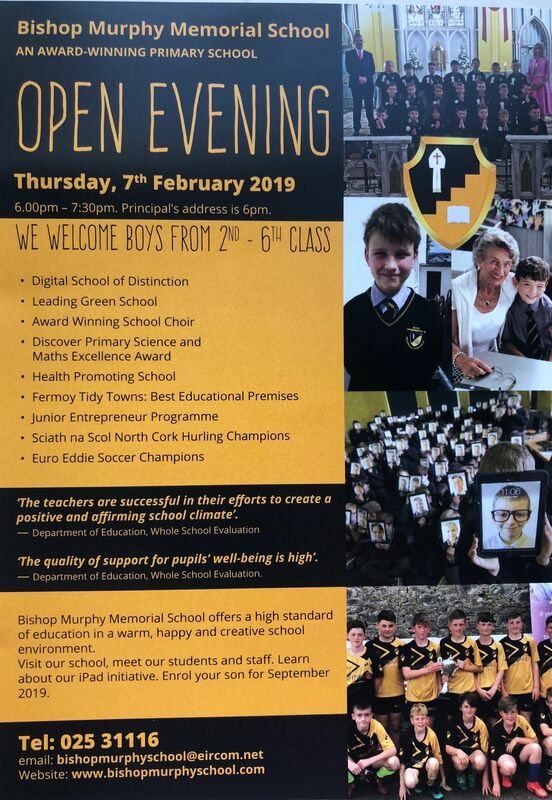 Finally, the crowd were shown a video conveying the type of activities that take place at Bishop Murphy Memorial School. There were science experiments on show in each class as our visitors explored our school and met with all our staff. 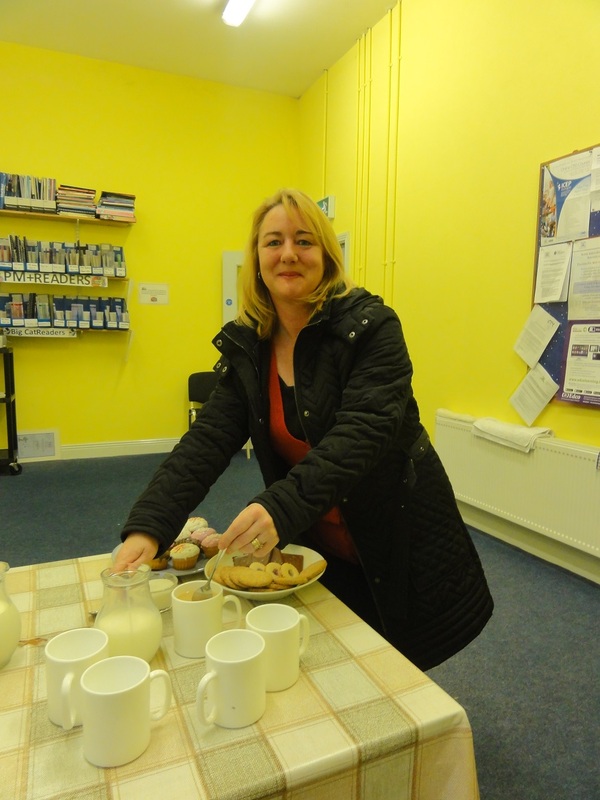 Parents, pupils and staff mingled in our staff room where refreshments were served. 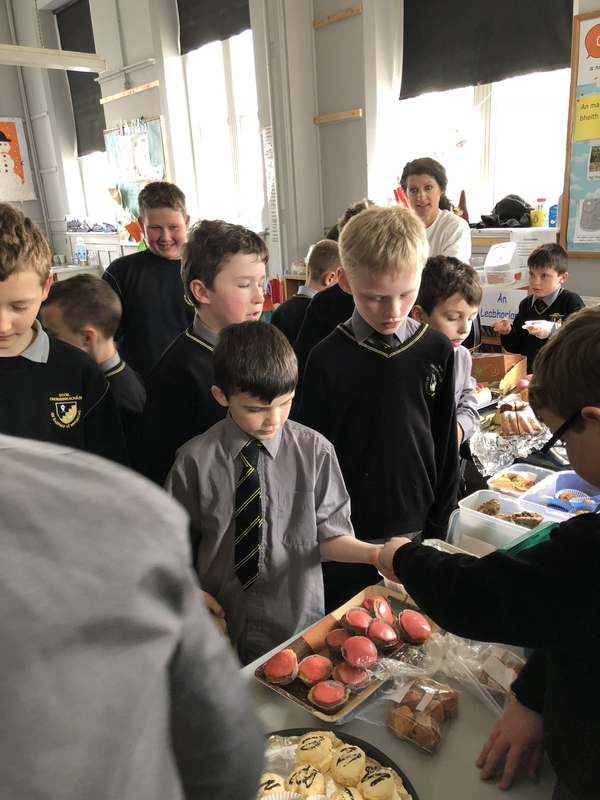 There was a fantastic buzz around the school and was a highlight of our school year. The school continues to enrol in preparation for the 2017/2018 school year and more information is available from the office. Well done to all, especially our pupils for contributing to a very enjoyable night.